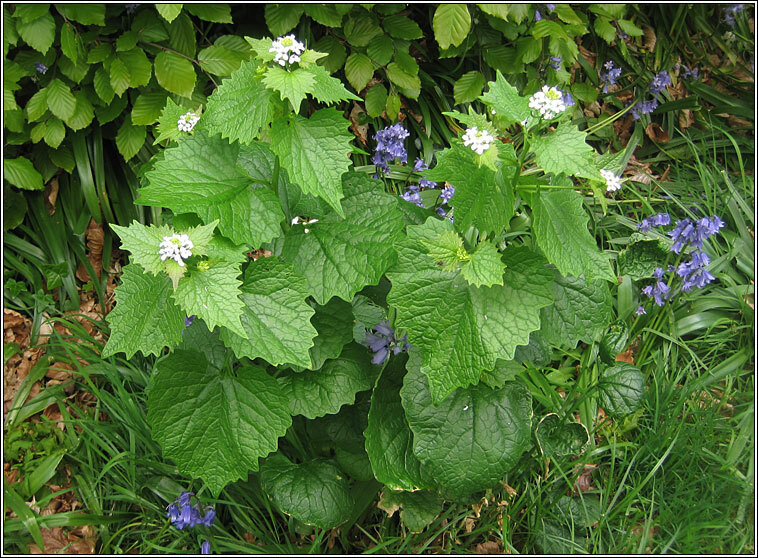 Habitat: Found on moist, relatively fertile ground in woodland, hedges, roadsides and river banks. 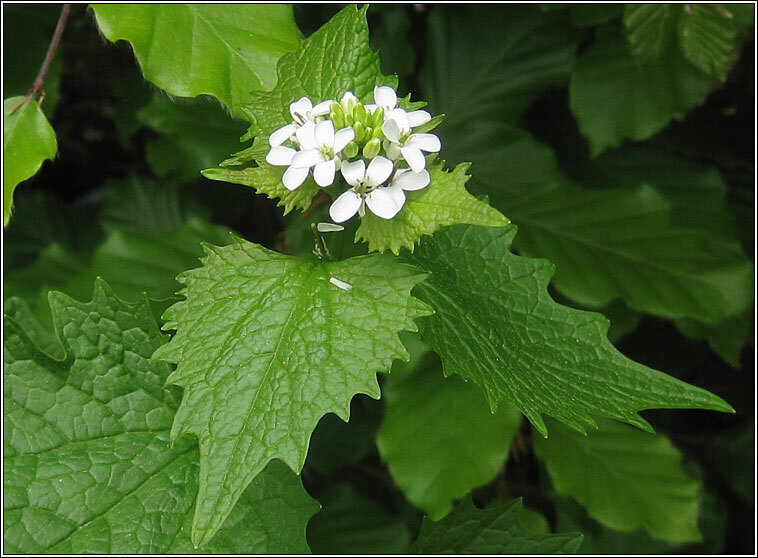 A usually unbranched, more/less hairless plant with 4-petalled white flowers followed by erect beak-less fruit on short thick stalks. 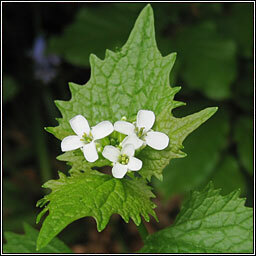 The pale-green, coarse-toothed, heart-shaped leaves smell of garlic when crushed.